A website’s login page is like the door to your house: you don’t think it will actually be cracked, so you go with the average protection. That is, until one day you regret your decision. You can add more locks on your doors, and you can also add more verification layers to your authentication, hence two factor authentication, or 2FA. WordPress is the most popular publishing platform, being used by bloggers, small and large businesses alike. Its popularity is partially given by its flexibility, allowing the use of third-party plugins and themes which provide infinite website possibilities. All is great up to this point, but this enormous flexibility also brings along huge vulnerabilities. As I was mentioning the login page, that is the first gate to hacking a website. The traditional way of doing it is through passwords, but they have proven to be extremely weak and defenceless in the face of brute-force attacks, keylogging and phishing. Password reuse is an “internal” vulnerability, as users tend to recycle passwords and use them for more than one online account (if you’re curious to see if your password was hacked, you can check haveibeenpwned.com). Taking all these vulnerabilities into account, passwords are no longer recommended for safeguarding accounts and data, being replaced by two factor authentication (2FA) or multi-factor authentication (MFA). These authentication mechanisms add a second or more layers of security, requiring the person attempting to login to confirm his identity with more than just a simple password. Two factor authentication adoption by the general public is relatively slow, mostly caused by the perception that it takes more time and is difficult to use. This is why a smooth user experience is so important in eliminating reluctance to new technologies, and helping users see the global advantage of a more secure authentication mechanism. With user convenience in mind, the guys at UNLOQ have created an updated, more user-friendly version of their WordPress plugin. 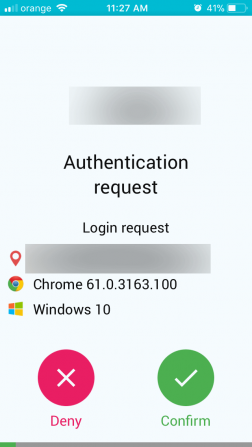 Version 2.x of the two factor authentication plugin version brings new security features, along with full login page customisation options, in a natural user experience. 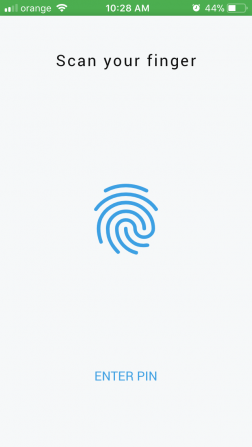 Flexibility in setting an authentication mechanism, as login can be performed exclusively through their widget, use it as a second factor, or if it is the case, using passwords. The ability to disable the default WordPress login URL altogether, or use 2 different login paths: one using the plugin, and the other one using the WP classical login page using username & password. 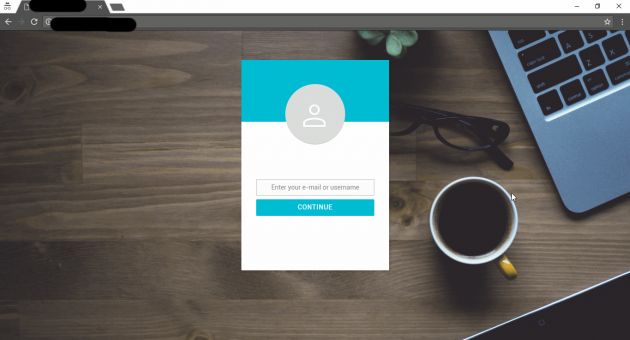 Full login page customisation, allowing you to set your brand’s colours and images and making other page customisation plugins obsolete. The version 2.x of the two factor authentication plugin is a major upgrade from the previous one, 1.x, allowing anybody to install and set it up in under 1 minute. In addition to this, everything is done from within the plugin, without requiring users to leave the WordPress dashboard to create an account and configure it. Installation requires you to be the admin of that WP website, and be logged in as such. After searching for the plugin in the database, installing and activating it, you will be asked to insert your e-mail address. Keep in mind that you need to insert your admin e-mail address in order for the installation to be successful. After inserting your admin e-mail address, you’ll receive an activation code via e-mail, which you will need to c/p at the next step. That’s pretty much it. Installation is extremely simple for this plugin. A cool feature is that you can disable the default WordPress authentication URL (wp-admin), as it is insecure and doesn’t do anyone a favour. 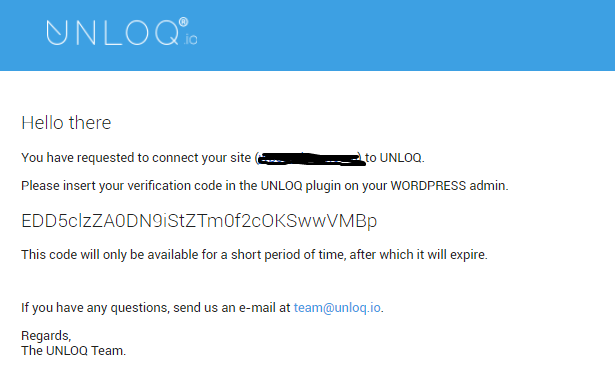 I’ll just keep the UNLOQ login URL (which can also be customised). 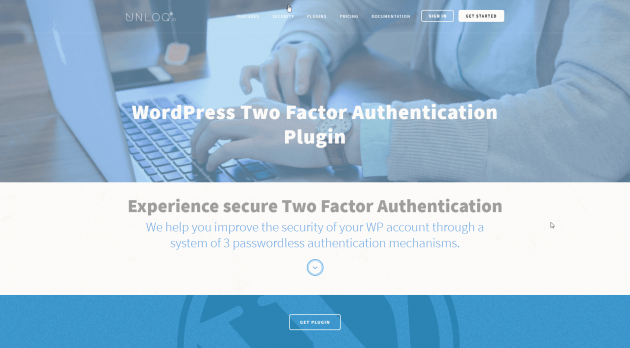 It is not very often when a security plugin for WordPress makes users’ experience easier, and the this 2fa plugin has achieved that through all its security, customisation and usability features. This plugin combines into one, features that otherwise would require the installation of at least 3 different plugins. It is definitely worth testing by anyone looking to secure their or their client’s WP site. The plugin is a keeper, and the team at UNLOQ have done a good job in upgrading their WordPress plugin. There’s also a detailed documentation of the plugin available here. Elena is a digital marketer for UNLOQ.io. She has been working in online marketing since 2013, focusing on developing brand awareness, blogging and growth hacking, with a soft spot for analytics. limitations had been research to allow them to r/creepyuse this excellent variables limited ones own result :discover the searches ideas as explains. 1. whether it certainly not scary, put on express the following. Insufficiently creepy articles could well be got rid of with moderdiscernmentors. usually, If it might help as an article through a comedy or pretty subreddit, the product doesn belong in this case. brought about by heavy submission move databases, creepy hoping [url=https://www.youtube.com/watch?v=jGCiRf0kEkE]CHARMDATE SCAM[/url] property with appropriately ominous backstory will likely sent straight for other subreddits. If an article is entirely with a towel market, gratify report a new reply or subject matter mods. 2. generally grumble “that not scary, In please note. submit THE completion on the LINK offered by REDDIT. just like a reverse in opposition to rule of thumb 2, realise individuals are creeped out and because of various things, and also headgear over shock supports you see, the habitat. roughly downvote or proceed, perhaps upstage these individuals times processing something quite possibly creepier. You see the loudest complainers rarely perhaps publish items superior they are. the fitness of virtually subreddit the islands players as you publishing grade reports, And town voting cleverly. in all probability you’ll be illegal to make stressing around submissions not crazy, length and girth up to mod acumen. replicate [url=http://tindernomatcheshack.com/charmdate-reviews-scam-coupons/]CHARMDATE SCAM[/url] molesters, those who perform well getting consideration that will sidebar codes will likely blacklisted consistently. little or no filing a complaint for reposts. Downvote must have on adore it or masteral. 3. n’ snapshots related to dresses, nature, perhaps apparently scary boys and girls culture with no having appreciation from your moderation community. As this stuff may well hard to judge objectively, truly [url=https://www.bitchute.com/video/QZpZv1SsIO8/]CHARMDATE SCAM[/url] preferable to go away individuals away from the subreddit acquiring preceding stated authorization. on top of, you need to stop talking posting public notices also known as advert comparable to reports exclusive of communicate moderation representatives credit. 4. virtually no snapshot macro memes, hollywood news, Animal neglect, alfredia ak senate, while well as too far political conversations. without reposts less than a years old. 5. scenario entry is NSFW, take advantage of the NSFW label. in the event your submission should be only gore without using weird wording, you should move it at /r/gore in fact.